This month the #dsma blog carnival tackles a pretty heavy subject but one that I believe really needs to be discussed more by our community - DEPRESSION and how we can keep it from hitting our community in the winter. I've wracked my brain all month and honestly, I don’t have an answer. I struggle with feelings of depression quite often myself. I’ve written about my own bouts of depression a few times before, but certainly not as often as I could have or as often as I’ve felt them. When I’m depressed I try my hardest of hide it from the world. Even right now, I find myself struggling against letting depression set in as I go through a tough time of uncertainty. And still, when people ask me how I’m doing I say I’m fine. Pete and I hanging in, we’re excited for new opportunities in our lives, yada yada yada. That’s all true to an extent, except for the part where I’m doing fine . . . . because I’m kind of not. But at least, for now, I’m trying to fight the depression off instead of surrendering to it completely. Have a Big Fat Wallow Day!! Many of us often feel we shouldn’t be depressed, we have good lives and we know others walk a harder road than we do. I tend to beat myself up for feeling depressed, which only makes me more depressed. So I thought about Diabetes Wallow Days and how much they help when Diabetes Burnout hits. Recently I decided to do the same thing with depression. I allowed one day to mope, cry, eat junk, feel terrible, do absolutely nothing, and just wallow in the suckiness of my mood. And the next day, I was ready to start fighting my way back again. Succeed. It’s hard to be depressed when you are doing really well at something, so I try to find just one small thing to succeed at. For me, it’s been tracking my calories and keeping up with my weigh loss goals. My first goal in the journey is to lose 10 pounds by March 12th, and as of last Monday I only have about half a pound left to go. Do stuff. When I’m blue I let the house get messy, the laundry pile up and the cupboards go bare. And it makes me feel worse. So it’s important to push yourself to do stuff, even small stuff. Straighten up one room. Vacuum the floors. Do just one load of laundry. Take a quick trip to the store to get something healthy but tasty for the fridge. One small step at a time can actually be huge. Okay, now that we’ve helped ourselves, how about helping others? In fact, I’m willing to bet that helping others will help ourselves too. It’s hard to be depressed when you know you are helping someone who needs you. How can we help the DOC? Check on quiet friends. Others have mentioned the same thing I’ve been thinking in their Blog Carnival posts - silence on-line is often a red flag for depression. (I know I’m a lot more absent when I’m depressed.) Make a mental note (or actual list) of who might be feeling down and check in on them. Email. tweet, drop by their blog - just let them know you care! Keep the discussion going! As I’ve admitted already, I tend to pretend things are okay even when they aren’t. I think we should discuss depression more as a community and continue to brainstorm ways to help ourselves - even after the February blog carnival is over. Are you with me? This post is my February entry in the DSMA Blog Carnival. 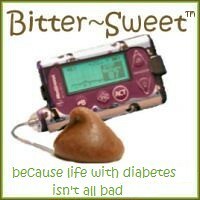 If you’d like to participate too, you can get all of the information at http://diabetessocmed.com/2012/february-dsma-blog-carnival/. I recently received an email from a reader (all the way from Austria!!) who was wondering if I had any experience to share about fasting or VLCD and diabetes. I don’t have any experience or advice to give her, but I’m hoping some of you will! If you have any feedback you’d be willing to share, please leave a comment here. Or, if you prefer, you can email me privately and I will pass the information along. Thanks!! I though maybe brown rice California Rolls would be kinder to my blood sugar than the white rice option. Alas, they were not. 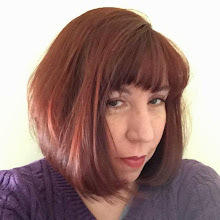 Today I have the honor of guest posting over at Medtronic's blog The Loop. Because I feel it's important to be able to laugh at the more stupid things we may do in moments of diabetes panic, I'm sharing my story of a rather embarrassing call I made to Medtronic Customer Service. Hope it gives you a giggle! Those of us who have found the Diabetes Online Community (DOC) know what a difference it makes to have a whole bunch of people to interact with who know exactly what it feels like to live with diabetes. There is something so special about communicating with someone who really gets it, who really understands what you go through, who knows what you are feeling without long explanations . . . because they are feeling the same things. It has certainly made the world of difference in how I feel about having diabetes, and how I live with diabetes. So how do we spread the word about the online community to those who need it, but don't know it's here? Well, last weekend I had a chance to do just that when I was part of the Taking Control of Your Diabetes program in DC on Saturday. I arrived first thing in the morning . . . no, wait. I actually arrived 30 minutes later than I meant to because I got hopelessly lost on the four block walk from my hotel the the convention center. Seriously, four blocks and a GPS app on my iPhone, and I still couldn’t find my way to the HUGE convention center. In the end I gave up and took a cab. I’m a navigational nightmare. It was much easier to find my spot in the Health Fair - the TCOYD staff had set up a terrific area near the entrance with a big slide projector and several rows of chairs. Cue the nerves - which were compounded by the fact that I soon found I’d be (somewhat unexpectedly) covering the booth on my own! I had my slides all ready and had gone over what I wanted to say . . . .but really, how do you convey what it’s like to become a part of the DOC? How do you bring the true magic of what we have online to those who haven’t experienced it? As it turns out, it’s easier than you might think. The first thing I realized was the people in an expo hall aren’t likely to sit down for a formal slide show. And really, the DOC isn’t exactly formal anyway, right? Our unofficial mascot is a unicorn and our logo would feature cupcakes and bacon. We may be passionate and fierce about our cause, but we are also fun and goofy in the best possible ways. So I bagged my “formal presentation”, and I spent my time talking one on one with anyone and everyone who stopped by the booth. When I talked about the isolation diabetes can bring and the need for emotional support, I saw people’s eyes light up! I showed slides of tudiabetes and Diabetes Daily as great community sites to get started on. I pointed out the copy of the Diabetes Advocates brochure that was included in the TCOYD event booklet. We talked of trying to understand that our loved ones are showing concern for us when they seemingly nag us about checking our blood sugar. We talked about how highs and low effect our mood. We talked about diabetes and food allergies, diabetes and getting older, and diabetes burnout. I showed my pump and CGM to some people who had never seen either before. I knew I’d be connecting with people who didn’t know about the DOC, but I actually connected with many others as well. I met someone I know from tudiabetes and a couple of people who used write blogs that I followed. I talked to endos and pharma reps. I had a discussion with someone from Diabetes Forecast. I had a great chat with Chris from GlucoLift and then had an interesting conversation with his dad about social media. When I left after a full day, I was very tired but very inspired. I’m hoping the people I met will join the DOC, and I hope I run into them online. (If I met you on Saturday and you’re reading this, Hi and Welcome to the DOC!!) But most important was the feeling that I really connected with a whole new group of people who, like me, are living every day with diabetes and could use a little support. Because connecting with other PWDs, both online and off, is really what it’s all about. When I last posted, there wasn’t much about our situation to celebrate. But in just a couple of days a few things have shown up on both of our horizons that give us a lot of hope. We are both crossing our fingers for these opportunities to pan out, and hopefully I’ll have some good news to report soon. But it hasn’t been all bad. One of my main goals for 2012 is to lose the extra weight I’ve been carrying around once and for all. False starts? I've had more than a few. But since the New Year I’ve been faithful about logging my calories into my Lose It! app and have worked hard to stay in the calorie range given to lose one pound each week. And during the four weeks of January I have exceeded my goal and lost just over 7 pounds. I’m proud that I didn’t give in to the urges to drown my worries in comfort foods. I’m proud that I didn’t give up when the going got rough. I know I still have a long way to go to meet my final goal, but I feel like if I stuck through it during this extremely tough month, maybe I can really do it this time. I’ve found that keeping this one small success in mind helps me believe that I might be able to turn the other cruddy stuff around too. Now, to work on getting back to exercising . . . .
What small successes are you celebrating in your life? Do they help you face larger challenges? Let’s cheer each other on and get ready to tackle the big stuff together! !